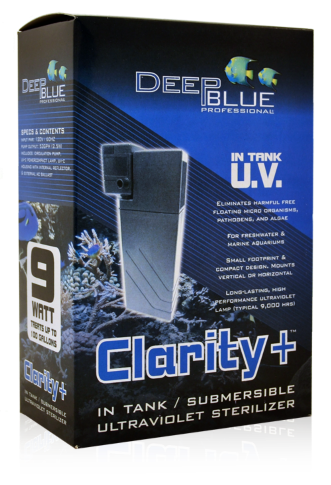 Deep Blue Professional Clarity+ 9W In-Tank UV Sterilizer Submersible UV sterilizer eliminates harmful free floating micro organisms, pathogens, and algae. Small footprint & compact design. Can be mounted either vertically or horizontally. Long-lasting, high performance ultraviolet lamp (typical 9,000 hrs) and optimized circulation pump included. Built in light amplifying reflector for increased output and performance. 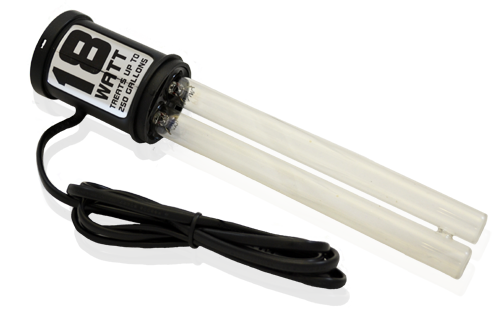 Epoxy sealed lamp assembly protects against moisture allow direct, unfiltered contact with UV tube. Optimized circulation pump included.  Deep Blue Professional Clarity+ 18W In-Tank UV Sterilizer Submersible UV sterilizer eliminates harmful free floating micro organisms, pathogens, and algae. Small footprint & compact design. Can be mounted either vertically or horizontally. Long-lasting, high performance ultraviolet lamp (typical 9,000 hrs) and optimized circulation pump included. Built in light amplifying reflector for increased output and performance. 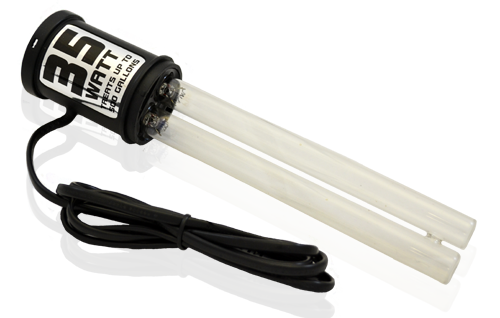 Epoxy sealed lamp assembly protects against moisture allow direct, unfiltered contact with UV tube. Optimized circulation pump included. Deep Blue Professional Clarity+ 35W In-Tank UV Sterilizer Submersible UV sterilizer eliminates harmful free floating micro organisms, pathogens, and algae. Small footprint & compact design. Can be mounted either vertically or horizontally. Long-lasting, high performance ultraviolet lamp (typical 9,000 hrs) and optimized circulation pump included. Built in light amplifying reflector for increased output and performance. Epoxy sealed lamp assembly protects against moisture allow direct, unfiltered contact with UV tube. Optimized circulation pump included. Deep Blue Professional Clarity+ 9W Replacement UV Cartridge Replacement UV lamp cartridge. Fits Clarity+ 9W In-Tank UV sterilizer. Deep Blue Professional Clarity+ 18W Replacement UV Cartridge Replacement UV lamp cartridge. Fits Clarity+ 18W In-Tank UV sterilizer.